"We Dance Alone" is a track on Beck's 2006 album, The Information. The song is built on some scratching, Gameboy beeps, and a funky bassline. Over this, Beck raps in an almost-frantic whisper. The effect ends up less bubbly than that description might sound, as Beck and Nigel Godrich somehow infuse the beats with a darker mood. Beck has said that "We Dance Alone" is "one of his favorites," but nonetheless it nearly didn't make the album. Myself, I really do love the contrast between the hiphop groove and the more ominous atmosphere. The mix of modern and old images is my favorite thing about "We Dance Alone." Telegrams, twain, gravel trains, ducks and drakes--these are all somewhat outdated things/language. But then, at the same time, Beck drops in blown-out TVs, cars, the future. The clever first verse begins with someone reaching out to someone. What happened? "The twain got crissed not crossed." What an awesome phrase! "Twain" is basically ancient English for "two." It only survives based on a Rudyard Kipling poem, "The Ballad Of East And West." The opening line is "Oh, East is East and West is West and never the twain shall meet." Beck adapts that into his own; instead of simply never meeting, the two sides get disoriented. Or in his own way, "crissed not crossed." "Crissed," I should point out, is not actually a word. Despite that, the meaning couldn't be clearer. So from the start, we've got two sides who no longer crisscross. Beck then uses the technology/desert wasteland metaphor that pervades the whole album (see "Cellphone's Dead" for example). There is a car, but the keys are locked in, so the twain are forced to walk the desert. The hints at pain and moving on indicate to me some sort of soured relationship. But beneath this whole verse (and song, even) lurks the more general idea of a lack of communication. The two of them are there, dancing, but alone. There isn't much communication connecting them, and without it everything is getting "darker." The second verse continues, with the frustration inherent in this lack of communication leading to despair. This verse is very focused on destruction: fires, crashes, wreckage. He longs for a "fire to collide with the ground" (another Beck-ism, as fires don't collide with things), to get back to living, out of the wreckage. Something come destroy this still lake, disrupt the mundane "ducks and drakes" of life ("ducks and drakes" being the game of skipping flat rocks across the water). Dancing alone can only go on so long, before it needs to end/change. He's longing for that upheaval. So where does this leave the twain? On a train! A gravel train, no less. Gravel trains don't show up much in songs/poetry, that I'm aware of. But if a gravy train is the idea of an easy life, perhaps in Beck-language, a gravel train is a more difficult one. So there they are, not communicating, waiting for hope (much worse than actually hoping) as everything fade away (lights, scenery, sense of self). That's a pretty dark place for a rap song! But man, how great is this song? 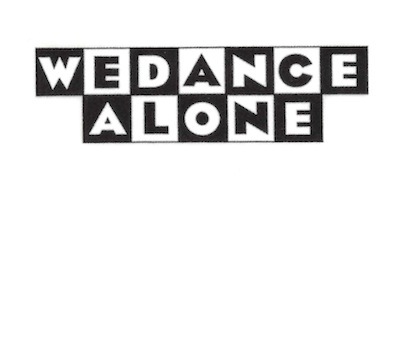 Plain and simple, the wisdom of "We Dance Alone" is that if you're not communicating, even if you're in a relationship, you're dancing alone. Beck is vague on what that central relationship is, whether romantic or personal or religious, but probably the metaphor holds up to any type. You will be left wondering to read their thoughts, thinking about the past and struggling to move forward in the future. The song ends with the idea of life as a trespasser on the road, looking for the light to get out of the fading darkness. That's a common line in many Beck songs, light as hope. The idea of being a trespasser too: that feeling of "should I be here? "/"I'm out of place" pervades many a Beck song as well. Also, I'll note here that there were reports about a song called "Dance" which was to appear on Guero. Completely different song, that didn't make the final Guero cut. Beck played this, at least, 7 times, during the 11 secret shows he did around Los Angeles as warm-ups for Guero tours. The music and arrangement on the version or two I have heard sounds very much like it would on the record, so I assume not too much work was done on it after this point. Though the record is three verses, and the live version I just checked was only two (and he sang the first one, twice). The rapping is too fast for Beck to be coherent on this on stage. Then when Beck went out on the proper Guero tours, he did play "We Dance Alone" on occasion. It wasn't regular, since it wasn't released yet, but there are some versions floating around. It was usually short and he did do a better job at nailing the verses (see July 11, 2005). There were also a lot of times in 2005-2006 where Beck would just start chanting "We dance alone!" or they'd toss the chorus into a medley. Then at the end of 2006, Beck started touring behind Info. (It came out in October.) On these shows, "We Dance Alone" was a bit more of a regular. It still showed up in medleys some though. At the end of 2006, Beck and his band took to playing shows in restaurants and bars AFTER their main theater concerts, usually the same night. The setlists were improvised, instruments were sometimes limited, crowds were rowdy. A few of these saw crazy electro "We Dance Alone"s.